About 90% of the students reversed the Biblical order, putting the commandments about how we are to treat our fellow man first and the commandments about how we are to relate to God last. Sadly we live in an age where people are more concerned about their importance. Their relationships. And social justice. And less concerned about their relationship to God and their responsibilities toward Him. Surely, the way we treat others is important. It’s a part of the Decalogue. But morality, integrity and ethical behavior should begin with our relationship with God. 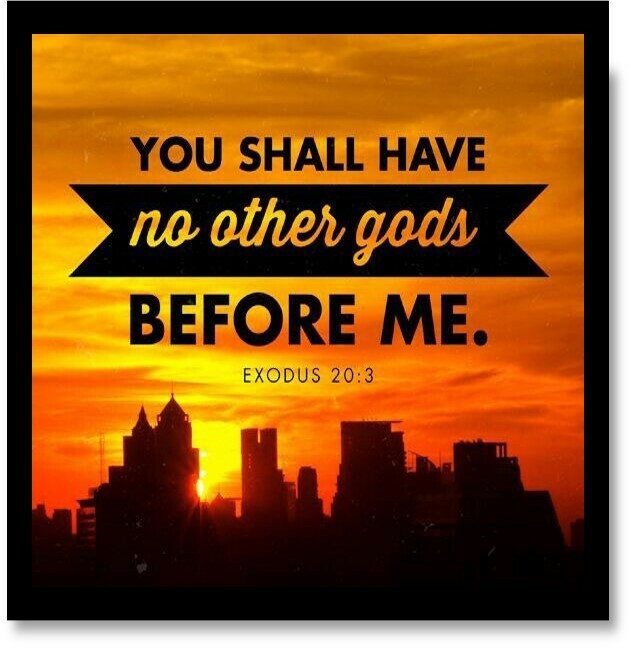 The first commandment God gave Moses was, “Thou shalt have no other gods before me” (Ex. 20:3). Israel was now entering a land where the Canaanite Baal gods involved worship that included gluttony, drunkenness, and sexual immorality. The temptation would be great for them to be like the people around them and participate in their idolatry. History records that the worship of other gods was a constant challenge that led to their downfall. He found many claiming to be Christians but “arriving at faith on their own terms–terms that make no demands on behavior.” During his research, he interviewed a young lady named Sheila who embodied this attitude. Idolatry leaves the nature of the One true God and turns inward to an idolization of self. Selfish ambition. Fleshly desires. And carnal appetites. Our gods today consist of pleasure. Passion. Power. Position. And possessions. The New Testament law of Christ calls for Christians to reject idol worship. “You shall have no other gods before me” Jesus affirmed this Truth when the devil tempted him in the wilderness (Matt 4:10). The apostle Paul warned that we do not become idolaters like ancient Israel (1 Cor. 10:7). Idolatry is manifested today in greed, materialism, and love of money. The Bible admonishes us to “Put to death therefore what is earthly in you: sexual immorality, impurity, passion, evil desire, and covetousness, which is idolatry” (Col. 3:5). Evidence that the human condition hasn’t changed much with the desire to worship something other than Jehovah God is evident in Paul’s description of the antinomians of his day–“whose end is destruction, whose god is their appetite, and whose glory is in their shame, who set their minds on earthly things” (Phil. 3:19). The God who created us in His image is ever-present, all-powerful, and worthy of our praise and total commitment. He will protect and preserve you through the difficulties of life. And He desires a personal relationship with you. Great one, Ken (no pun intended)!